WAIT! Whoops, sorry. These are so healthy, unusually so, that I forgot to mention something that will be more important for some of you, and that is quite prominent in my mind when I’m in the presence of these muffins: THEY ARE SO DELICIOUS. Overnight Triple Chocolate Muffins are so delicious that I don’t ever need a piece of chocolate cake again. I’m not kidding. You might. But with that crazy (easy to make) glaze on top and their middle texture and the oh-so-CHOCOLATE flavor, these babies are IT. I’m wild about fermentation. The fact that breads and quick breads can be fermented is tremendously magical and healthy. The purpose? Fermentation of breads makes the ingredients healthier. Healthy is a vague word. When it comes to the fermentation of flours, healthy means that the nutrients become available! Our bodies can easily digest and assimilate the nutrition in a fermented batter. What’s Happening? — We start out with a bowl full of dry ingredients: flour, cocoa, baking soda, sea salt. We also have some wet ingredients: yogurt (or dairy-free yogurt) or another acid like apple cider vinegar, plus eggs, fat etc. When we combine the dry and wet ingredients and then let them sit … the acidity in the yogurt or apple cider vinegar changes the flour and cocoa! The acid neutralizes the phytic acid in the flours. Phytic acid is the storage form of phosphorus in many plants. This compound is now called an anti-nutrient by many because it binds with minerals while it’s being digested in our guts, and actually robs our bodies of those minerals. By neutralizing phytic acid, our bodies not only get the minerals in the other foods we’re eating, our bodies can also access the nutrition in the flours used, because that nutrition has become more bioavailable. The short story is: Allowing our cassava and cocoa to soak overnight in a batter with yogurt (or dairy-free yogurt) allows us to get more nutrition from these flours and from the other ingredients in our meal. When it comes to cocoa powder, this means we get more magnesium, copper, potassium, sodium and calcium, more antioxidants and the increased potential for cardiovascular benefits — from a food touted to revive and nourish (source). As you may know, cocoa comes from a seed. And all seeds need to be “awakened” for us to access their nutrition. Read more about this here. Cacao beans undergo an initial fermentation shortly after their harvest. But fermenting the flour of the seeds/beans further enhances its nutrition and our body’s ability to assimilate that nutrition. Personally, I have experienced the electrolyte balancing properties of cocoa. Cocoa is actually higher in potassium than other minerals! Recently, I was completely enervated by too much sun at my son’s track meet. A tiny bit of honey and dark chocolate is what revived my energy, fluid balance and cell integrity, which then further allowed me to be re-hydrated and revived by my mineral water. (A few of these are a great thing to carry around in the hot summer months, for emergencies, seriously! I will forever be amazed and grateful for the way the two ingredients revived my body. [The little packets hang out in my purse for months and never open. I don’t have a sweet tooth. So they just stay there until they’re needed.]) I now have personal evidence that chocolate and honey, in tiny amounts, help to restore the body’s fluid balance. Fermented cocoa offers our bodies healing minerals! And, by the way (favorite topic), these wafers are our favorite Keto, Paleo, GAPS Diet snack EVER! They’re not sweet. But let them melt in your mouth, and toward the end as you’re chewing them, they’ll come to life as chocolate! And the fat is super nourishing. Read more about it here. This batter, as mentioned above, ferments overnight at room temperature. What about keeping the eggs in the batter at room temperature? This is a matter of personal preference. Here’s what to do: If you have farm eggs, just keep them at room temperature after collecting them. Then an overnight ferment is not an issue. The conflict otherwise is that once eggs have been refrigerated health departments don’t recommend keeping them at room temperature for more than four hours. Personally, I am not concerned about this. I have been fermenting batters for years and never once had an issue with food poisoning. The probiotics and acid in the yogurt (or ACV) help to keep any negative bacteria at bay. But if you are concerned, simply give your muffin batter the four hours it needs at room temperature; then bake; OR then refrigerate until morning and bake at that time. Your choice. Lastly, what makes a chocolate muffin a muffin and not a cupcake? This is an important discussion, yes? Well, as young and lovely as I feel 🙂 , I am too old to mess around with cupcakes! I’ll keep making you cupcake recipes, don’t worry. But for me, and my body, and my health history, I am completely content with the healthier the better, as long as it tastes good. Muffins mean: soft, moist interior texture that doesn’t require butter or other condiments (unless you want to). Muffins mean less sweetener! Muffins mean: nutrient-dense. 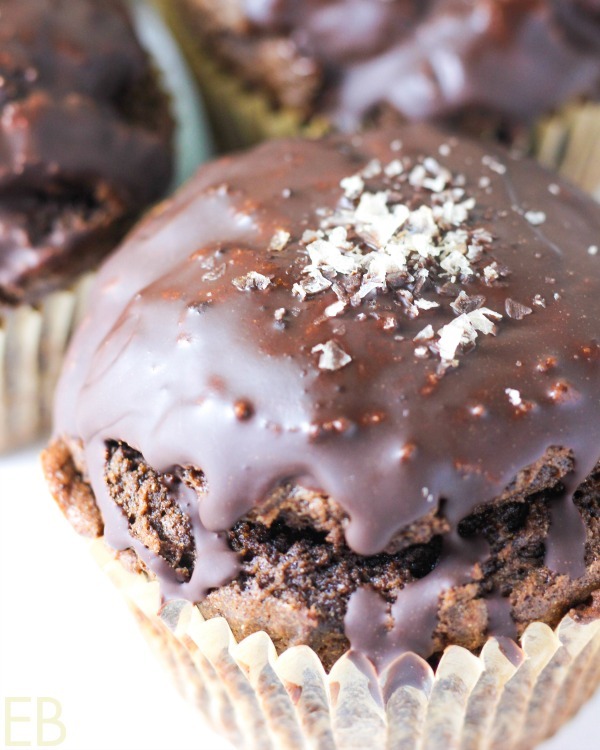 You add cocoa that’s been awakened (so its nutrients are bioavailable), and we have a slam-dunk-no-need-for-cupcakes-treat! “Perfect texture,” is what my hubby says. So enjoy muffins for breakfast or anytime, because muffins this good satisfy the need to treat ourselves while also being good to our bodies. (Preheat oven to 325 degrees Fahrenheit only if baking the muffins immediately.) Either way, line muffin cup pan with squares of torn parchment paper, or muffin cup liners. Set aside. Combine in bowl: eggs, yogurt, fat of choice, maple syrup, and vanilla. In separate bowl sift together cassava flour, cocoa powder, collagen, baking soda, and sea salt. Add shaved chocolate. Add dry ingredients to wet ingredients and use spatula to mix together thoroughly, without over-mixing. If your muffins were stored in the oven for their overnight ferment, remove them now. Preheat oven to 325 degrees Fahrenheit. Bake muffins until toothpick inserted into the center of one comes out clean, about 25 minutes for large muffins (start checking at about 18 minutes for smaller muffins). Allow muffins to cool slightly. Chill muffins 15 minutes in freezer to help glaze to set. Dip cooled muffins in glaze, or use spoon to ladle it over the tops, tilting muffins to the side so any extra runs off. As the glaze sets, sprinkle with flake salt. Allow to come to room temperature, and serve. Here's a fantastic Fair Trade Cocoa Powder. Here are Fair Trade Cocoa Nibs. Here are Sea Salt Flakes (delicious!!). We can affect some things in life. And buying a luxury item like chocolate is one area we should affect. I list below the chocolate bars I recommend. Unfortunately, there aren’t more unsweetened Fair Trade ones. Did you know that many of the small chocolate companies that seem Fair Trade are actually owned by the egregious ones (see below)? It’s true: Avoid Dagoba and Scharffen Berger, to name two examples. A lot of the Fair Trade bars have a bit of sugar in them (I really like this one if you can have 88% dark) or this one is good and uses honey! I actually love unsweetened chocolate bars in baked goods, but SunSpire Organic is the only one I know of that’s truly Fair Trade and unsweetened. See if you can find it at your local natural foods store. I don’t use the word “should” too often, because we often need to let each other figure out life, and give each other grace in the process. BUT: Why is it that some of us are more affected (more convicted) by certain social issues than others; and some people don’t seem to be moved by the human rights issues that bother us? Our consciences speak more or less loudly, more or less frequently; and some people listen more often or better. To some extent, we are in control of how well we listen. To some extent, if we listen well, we can be thankful for our empathy. Empathy is a gift. Do you understand and feel acutely what it means to buy Fair Trade? Do you actually picture enslaved children working long hours without proper food, rest or sanitation, exposed to chemicals, sometimes whipped, sometimes locked up, sometimes kidnapped? (Read more on this HERE.) I can’t help picture them, and it’s so easy to support good cocoa husbandry. Will you join me? We shouldn’t need it to be easy, to help other humans from suffering. But in this case, if that helps us to act, it is easy: Just buy ONLY Fair Trade Certified chocolate and cocoa (and from companies that aren’t owned by bigger companies who don’t care), and you’ll be making a small change in the world that affects other humans! 🙂 Find Fair Trade cocoa HERE. I love this topic and feel passionately that for how much most of love chocolate, it is our responsibility to care about how it’s sourced. If chocolate is feeding us its riches on the backs of abused children, then shame on us. None of us should eat chocolate unless we, with open eyes, know we’re not supporting a willingly money-hungry corporation and the deforestation of West Africa. As a side note, I do know what it’s like as a business person to need to succeed and balance the cost of inventory with profit. 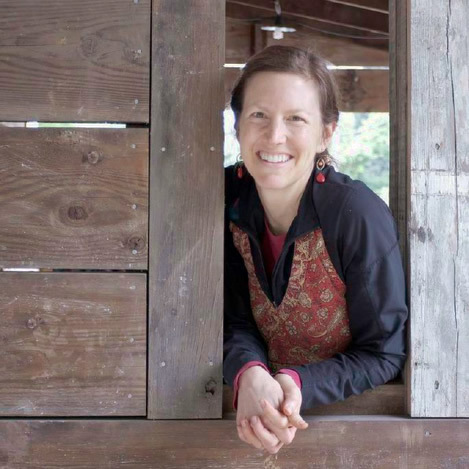 My husband and I owned a Fair Trade ice cream shop for 8 years. We would rather have failed than buy conventional cocoa. It was a joy to us to spend more on Fair Trade. This choice is foundational to a company’s values. Buy with pride and delight from companies that have made an impact on other humans’ lives by intentionally supporting Fair Trade efforts. Buy from companies like Bulletproof, Divine, Gemini, Global Organics, GloryBee, Go Raw, Holy Kakow Chocolate, Hummingbird Wholesale, Kroger, Lakanto, Late July, Nature’s Path, Newman’s Own, Nutiva, Teeccino and Terrasoul. Buy chocolate bars and similar treats from Alter Eco, Eating Evolved, Equal Exchange, Heavenly Organics, Pure 7, Taza Chocolate and Theo Chocolate. Also, I link to THIS Fair Trade cocoa powder sourced from Ecuador. I have subscribed 🙂 to its delivery every 3 months, which means I get a discount of 15%. Living wages for small farmers — Amen. I can drink (hot chocolate) to that! Consider doing the same. 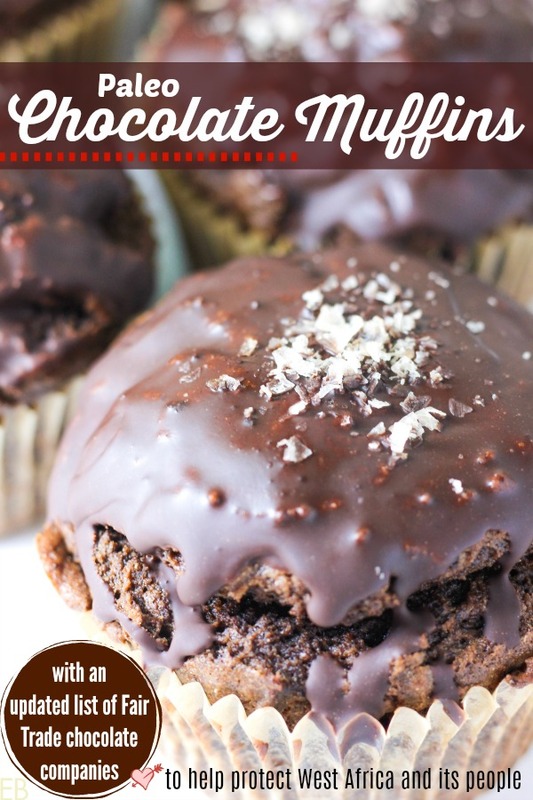 And then … you can make these Overnight Triple Chocolate Muffins (and the hot chocolate) on the regular. Please consider bookmarking this post, pinning it here or copying and pasting the above lists to a Notes page on your computer, so you have them ready for easy reference! Know who you support and why, and who to avoid (until they hopefully shape up!). When it comes time to stuff stockings or fill Easter baskets or buy chocolate gifts, refer to the above lists, and I’ll keep them updated. My husband said that it’s possible some of the companies that are still supporting the harm in West Africa are unaware. As a former food producer, I find that hard to believe. But I guess it’s possible. Either way, I won’t support their ignorance or the evil it causes. What about you? If you didn’t know, is it time to make a change now that you do? 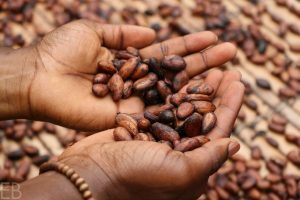 Will you buy cocoa, chocolate and chocolate products differently now that you know which ones are Fair Trade and which ones are not? These look amazing! Will be making them as soon as I get everything. You have a link to the cocoa nibs but I do not see where they are listed in the recipe. 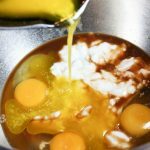 I am new to Paleo and trying to learn, what is the purpose of the collagen? Hi Megan, this looks delicious as always!!! I was wondering if honey would work in place of maple syrup and if I could reduce it to 1/4 cup? Or would the muffins be too bitter? Also how much honey would you recommend in the glaze in place of stevia? Would these make good mini muffins? Would they be good for young children as a treat or do they have too much caffeine? Sorry for all the questions!! These look so rich and ahhhhhmazing!!! I’m loving all the chocolate and I’m really loving how you’ve made this healthier!! These look wonderful. However I also have a sensitivity to eggs. This has been a tough one when it comes to baking and having things turn out right. Can these be made egg free and if so what would you recommend? Thanks so much. 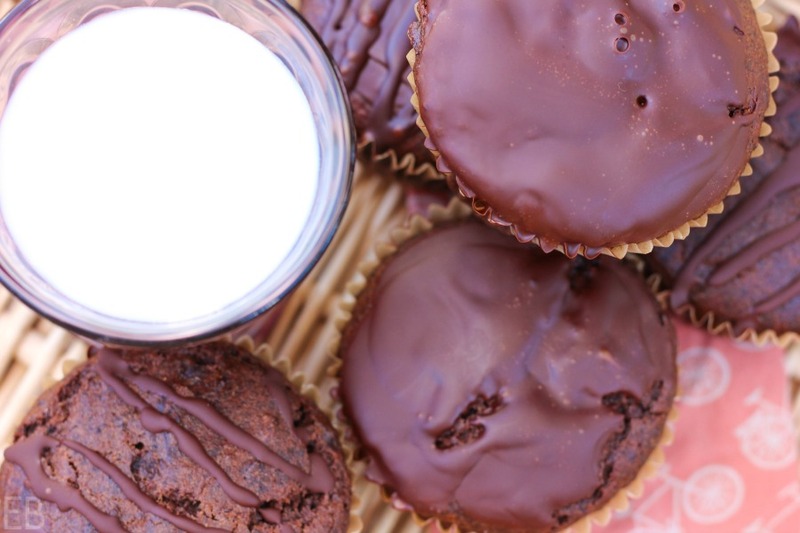 These are right up my chocoholics alley…can;t wait to try them Megan! And the frosting! Hello chocolate, I love you! Muffins are always a good idea and I love this recipe! Ohhh man these look SO amazing Megan! My girls need a treat before we head back to school and they will think it is so special to get to have chocolate for breakfast! That’s really sweet, Renee. I can picture your girls’ faces; they are so appreciative it seems in general. Back to school! Agh, not so sure I’m ready! I’m loving these long, lazy days of summer!! Megan, these look positively scrumptious and decadent! There’s not one thing I don’t love about these muffins! That chocolate glaze on top is calling my name. These were sooooooo delicious! They remind me of something from my childhood but I cant quite put my finger on it. I made them with the changes i asked about. I’m aready thinking these could be great as cupcakes for my birthday…maybe with a bit more honey and a whipped ganache instead of a glaze??? Anyways thanks for a delicious, super dark and decadent chocolate lovers muffin! Aw YAY!!! Thanks for sharing! 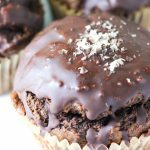 It’s always SO good and comforting and happy to have a favorite chocolate recipe and to have a favorite muffin recipe, or both in one! 🙂 Your variation ideas sound low-risk/likely to be lovely!! All I can say is a big WOW! 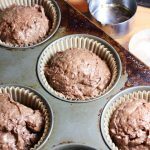 I had no idea you could ferment quick breads, but what a great idea, and the fact that they’re chocolate doesn’t hurt either! Those muffins look absolutely amazing! I love trying new soaked recipes, so I’ll have to get my hands on some cassava flour and give these a try! Wow, there is so much helpful info in this post. These look amazing and I’m new to the fermenting thing. I love all your tips for fair trade chocolate bc life cannot be lived without chocolate! Yes, thanks for appreciating the Fair Trade info!! Chocolate is so special. I’m so happy too that the info about fermenting resonates and is helpful. Thanks for your comments. Blessings!! Love everything about this! Thank you for being one of the few who recognizes and provides solutions for reducing phytic acid in cacao. And for raising awareness about Fair Trade and giving us ethical options! Mine are soaking now! Thanks for the amazing recipe with cassava flour + all the important updated info re the chocolate companies. I am with you– in this day and age.. companies need to make a choice — a respectful choice.. and I will copy/paste your list to have on hand. We do have some local folks who I support.. I will grill them.. and then let u know about them — in case you are ok to add them.. to your list! Our consumer dollars to add up to support the conscientious among us.. Appreciate your research! I cannot wait to make these soon. Gosh they are so perfect and I love that you’ve soaked them overnight for better health. 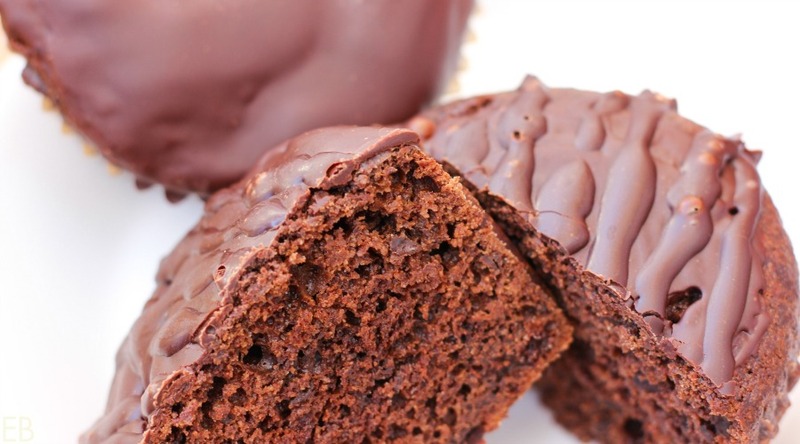 I need to get my hands on that honey sweetened chocolate bar – how fun! Thank you for your thoughtful words about chocolate too – so important! Thank you love! So appreciate your words about the chocolate, and I hope you get your hands on one of those honey bars soon!! Also, wish I could send you the muffins!! These muffins look so good! And thank you for sharing your list of fair trade chocolate companies. So the info on chocolate is very good. Can you explain why we can’t trust the labeling for instance from this page? I don’t want I have anything to do with slave Labour, much less child slavery! So help me understand how to find trustworthy chocolate when at the local stores. Hi Lea, the site you link to seems fine, but I’m not sure it’s as accurate as the information I link to. For example, Hershey’s has pledged in the past to stop their child labor (by 2012 at one point), but they do not follow through. We’ll see in 2020 what they really do. The site you link to is very brief in their explanations. The sites I link to are more thorough; that’s all. In any case, the info I link to is a great guide for what to buy that is truly fair trade. All the links in this post should guide you for what to get at the market. I provide several companies from whom it’s safe to buy. I made these a couple days ago and they are so amazing. I made them non-dairy. This was my first time using liquid Stevia. I loved the bitterness of the frosting (I used 6 drops of Stevia). My frosting was a bit runny, not sure why, but still delicious. Thanks you for sharing….These are my new favorite chocolate item and will be a healthy substitute for the sugar filled dark chocolate bars I normally eat. I did freeze them, but I may not have let them cool long enough before freezing them. I will try again….for now, I am enjoying the muffins….. as I froze the rest of the batch so I could eat them one at a time when I want a chocolate treat. I re-heat in the toaster oven 🙂 Thanks again….I really love these!!! 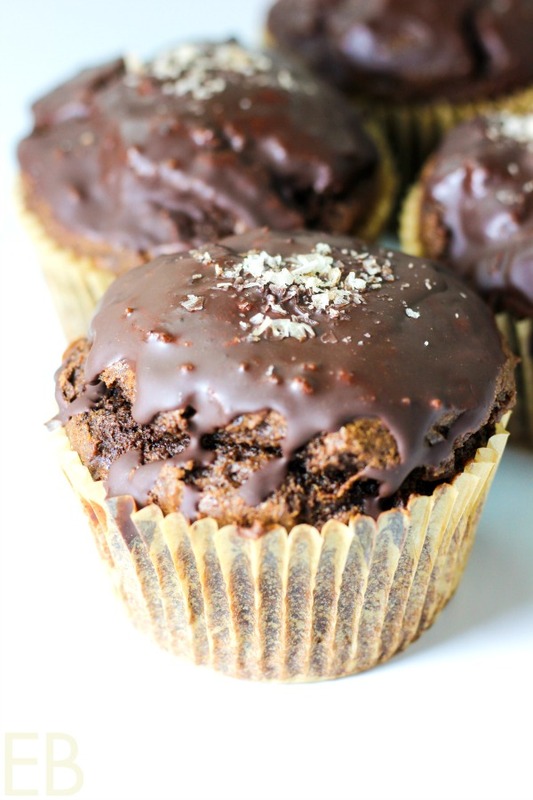 These muffins look insanely delicious! I really love that you included fair trade chocolate companies! These are in a league of their own! Ah, so true, thanks Daniela! !